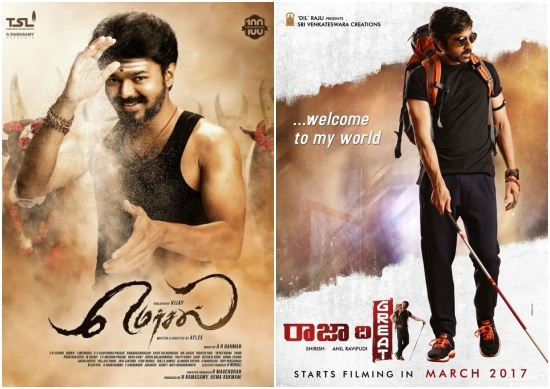 Vijay’s Mersal, the biggest release of all this Diwali, followed by Ravi Teja’s Raja The Great which seem to have huge buzz around the release. Diwali 2017 is sure going to be a special one for South Indian movie-buffs with some exciting films lined up to hit the big screens. Films lined up in Tamil looked doubtful for Diwali because of the battle between the government and producers due to the double taxation, and after the successful rounds of talk, everything seems to be set for release. Vijay’s Mersal, the biggest release of all this Diwali, followed by Ravi Teja’s Raja The Great which seem to have huge buzz around the release. Lets’ take a look at the films releasing during Diwali 2017. Starring Thalapathy Vijay in triple roles, Mersal is directed by Atlee and co-written by Baahubali writer K.V.Vijayendra Prasad. The film faced few roadblocks after the producers, Sri Thenandal Films, announced that it would be releasing on Diwali. But the producers put in their best efforts to clear all the decks for the release of the film. 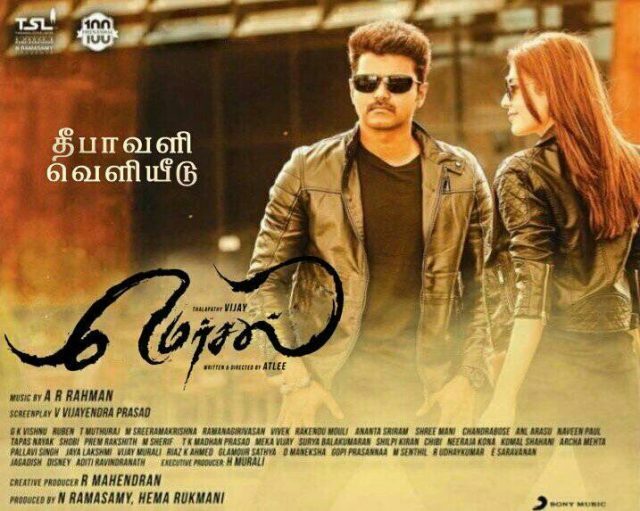 Mersal would be a special film for Sri Thenandal Films since it is their 100th production. 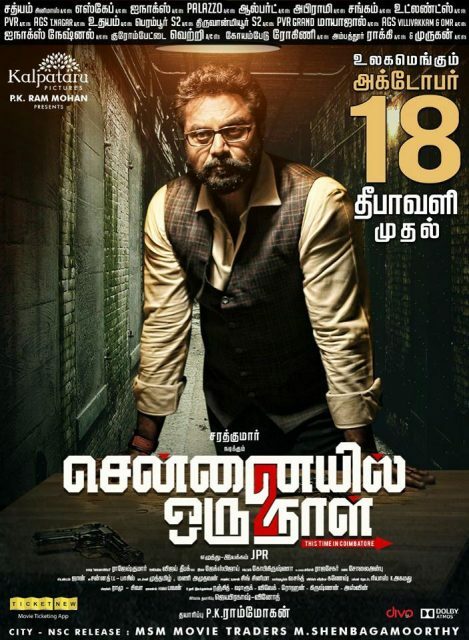 Chennayil Oru Naal starring R Sarath Kumar was well received by Tamil audiences and earned decent collections at the box office too. And elated with the response, the makers are now making a sequel – Chennayil Oru Naali 2. R Sarathkumar will be reprising his role in this film, which was originally slated to be released on October 6th, but due to the strike by theatres and producers, had to be postponed. Chennayil Oru Naal 2 is directed by JPR while the first part was directed by Shaheed Kader. Directed by Rathna Kumar, Meyaadha Maan features Vaibhav and Priya Bhavani Shankar. The buzz around Meyaadha Maan has been pretty huge after the makers revealed the first look posters and teasers of the film. With rustic looks, Vaibhav seems to have put in huge efforts for the film. Meyaadha Maan will be competing with a big release Mersal, and the producers are quite confident that the film will do well. Mass Maharaj Ravi Teja is making a, kind of, comeback with Raja The Great after he took a small break. Last seen in Bengal Tiger in 2015, Ravi Teja didn’t appear in any films since then and is now back with Raja The Great which seems to quite interesting. 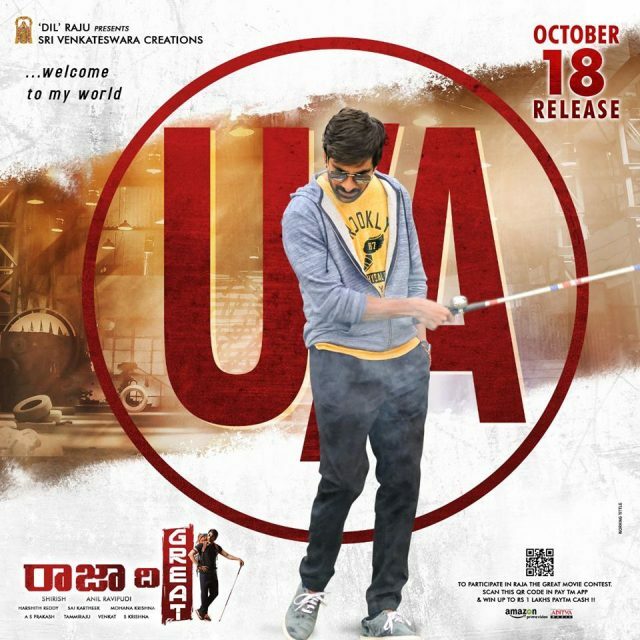 Ravi Teja plays a blind man in the film which is directed by Anil Ravipudi and produced by Dil Raju. With so many interesting films up for release, which one is your choice to watch this Diwali?